I firmly believe it IS a rule to sing in the car, even when you can't anywhere else. I'm sure it's written in like....the Bible, or something. Something discussed at the last supper, or maybe even the 11th commandment. I'm just SURE it's in there somewhere! 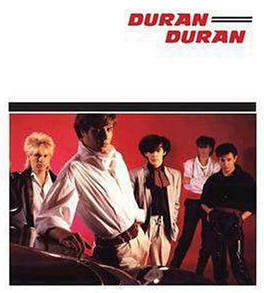 I grew up on Duran Duran as well. In Jr. High (because that is what they called it when I went)I was totally in love with John Taylor. Just got off the phone with Billie Joe, what a great guy he is! FYI I linked you to Layla's Classic Rock just now...hope that's cool with you. I can't believe you blew off the wedding because you didn't have anything to wear... I thought only us girls did that. Before I visited here this a.m., I posted how pissed I am that I didn't know DD was performing last night. Argh. I've never seen them with all 5 members live... they were missing Roger when I FINALLY got to see them here in the early 90's. The "Night Boat" video is the weirdest thing they ever did. Creepy! Regardless, GREAT song from the 1st album. I can't believe I actually have that on vinyl. You saw John Taylor!?!?! Oh Lord. Like Teri, I was totally in love with him. I went through my Simon phase and my Nick phase, but finally picked John and stuck with him. And my, he's aged so well. I love that "Nightboat" video. I've been wanting to get that video collection VHS or DVD of theirs. I remember renting it when I was younger and watching it at my sister's because we didn't have a VCR yet. I must've watched it 50 times before returning it. Same with "Sing Blue Silver". I've always like Duran Duran. Since I'm pretty much an 80s fan, I get to hear them a lot on the 80s radio station I listen to. Uhh yeah... I can't believe I forgot to comment about you passing John Taylor. Singing a DD song, to boot. Strange moment, indeed! I am not sure I could have had the composure you had (although I know you have to on the job, but still!). I see myself 15, nervous, red-faced and giggling. Simon is definitely my favorite. Ok, 24 hours later today: I'm heading down the same hallway and I see Roger carrying a little bag with him. I quickly ask him, "Didn't pack much this trip?" He laughs a little bit and mentions the show. I tell him about passing John the other day and he says, "Night Boat? That's really digging back there." With that, he was off to his limo. Really nice guy though. As for the clothing thing, sure... showing up at a buddy's party wearing flip-flops and a t-shirt might be ok but a wedding/social event at a country club... nope. Duran Duran were a huge part of my teenage years. A friend turned my on to them back in 7th grade. We used to listen to their music over and over while swooning over pictures of them. Hungry Like The Wolf -- Man, do I pine for the good old days.